By now, everyone has seen the beautiful photos from Kim Kardashian's #NoMakeup shoot for Vogue España. Kim K looks absolutely beautiful and effortlessly chic, while rocking old-school style sleepwear. These photos left me with the ultimate question — where can I get those pajamas? They look so chic, yet completely comfortable. When it comes to sleepwear, I want the best of both worlds, and clearly Kim K does too. They're perfect for a night-in with Netflix or a night snuggling with bae. Who wouldn't want that? What I love about this photoshoot is how readers get to see another side of Kim Kardashian — a side without falsies, lipstick, or airbrushing. It's very refreshing to see such a major celebrity icon step away from the glitz and glamour. Well, as much as one can during a Vogue photoshoot, anyway. I hope this sets a trend for brand name magazines to accept the idea of models and celebrities having very little makeup, or airbrushing for photoshoots. Let's all let our true colors show. Also, can we all just wear PJs every day? Just an idea. Wondering how you can copy Kim K's style? Here are a few near perfect dupes for Kim K's comfortable look in Vogue España. This #NoMakeup look is absolutely stunning on Kim. With her loose hair and luminous skin, she is really rocking the early morning look. Even though these are technically men's pajamas, they are a perfect dupe for Kim K's look! From the wide buttons to the cool blue tone, these PJs are a perfect vintage style. Long flights from Armenia can really take it out of a girl. Kim K's sleepy look is perfect for long nights with Netflix. #NoPants anyone? If a distressed Mickey Mouse T-shirt is what you're looking for then this is it! It's perfect for when you want to show off some Disney love, or just a night on the couch. Why don't I look like this in the morning? Such an injustice. 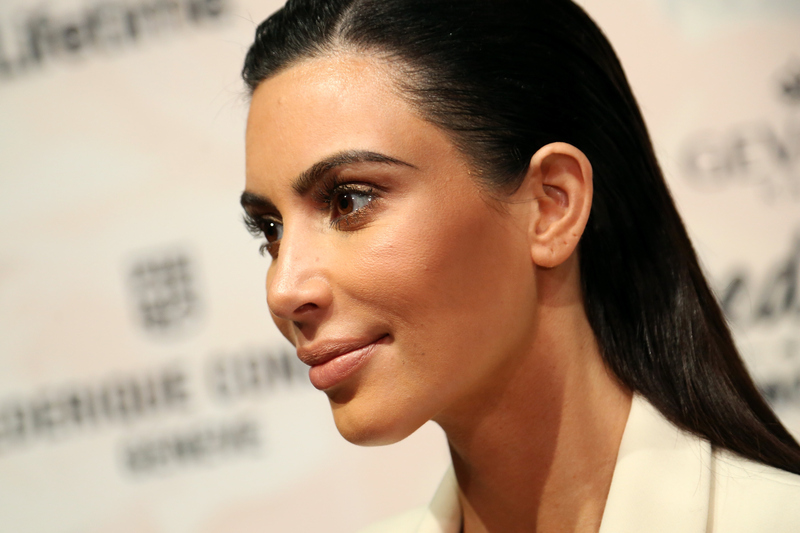 This beautiful vintage set is such a dupe for Kim K's look. Also, who wouldn't want to be stylish and comfy?